The Spa is housed in an early 1900's frame home, where the golden glow of wooden floors and natural light whisk you back to a time when the world moved at a slower pace. The verandah invites you to sit in the gentle Southern breeze, and just relax for a while. Rest assured that the house has all the modern conveniences to ensure you a most comfortable experience. Each room has been carefully designed to suit a particular treatment. You are cordially invited to experience them individually, or book an entire day, and enjoy them all. 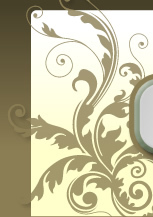 For our spa services we provide robes, gowns and towels. You may bring a bathing suit. If it is your first time or you're having a massage, facial or body treatment, please plan to arrive 10 minutes before your appointment to allow time for check-in and changing. Because we reserve time for your appointment, a 12 hour advance notice would be greatly appreciated for cancellation or rescheduling. A "No Show" will be charged full value. Thank you for understanding. Children under 8 are not permitted in the Spa, unless they are having a service; therefore, please make arrangements for small children. This will allow you and others to enjoy the relaxing atmosphere. We accept cash, checks (with proper I.D.) or credit cards. Gift certificates are available for dollar amount of services. Although gift certificates are not redeemable for cash, they may be exchanged for other services at face value. Gift certificates must be received before service is rendered. Herbal deep peeling, acid free, 100% biologic deep peeling method imported from West Germany, with pre-consultation. 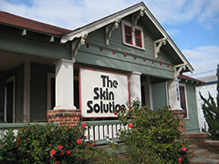 Benefits - helps build collagen and smooth fine lines, removes sun damage, acne scarring and other types of scarring. Helps remove or reduce many types of hyper pigmentation and sun damage. Body Sugaring is a safe and natural way to remove unwanted body hair. Once you've tried Sugaring we are sure you will not return to any other method of hair removal. Massage releases chronic tension and pain in muscles, improves circulation, increases flexibility in the joints, and reduces mental and physical fatigue. Neuromuscular therapy is designed to realign the biomechanics of the body, through the manipulation of the soft body tissues. Massage can help with many of the aches and pains you experience as your body changes during pregnancy. In the postpartum period, massage can help you handle the physical demands of caring for a newborn by reducing tension and increasing energy. Back Facial - Designed to remove surface impurities, oil, dead cells and blackheads; improve the skin texture and appearance. Parafinn Moisturizing Treatment for hands and feet (wonderful addition especially for arthritis or dry skin). SPA PEDICURE..... includes sea mud with an essential oil blend to demineralize and detoxify sore, swollen and fatigued feet. 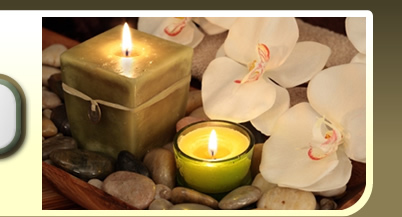 Customized Spa packages are available for special occasions and holidays. Clients who will be spending all morning in treatments will be offered a light lunch. Home calls are available with a 2 week advance booking.